Maureen White, RN, is executive vice president and chief nurse executive for Northwell Health, responsible for developing and implementing the health system's overall nursing policies, protocols, strategic planning and operational standards. Ms. White is also director of the Northwell Institute for Nursing, which focuses on nursing education, nursing research, the creation of healthy work environments and the development of future nursing leaders within Northwell. Prior to assuming these responsibilities, she served as vice president for patient care services, North Shore University Hospital and LIJ Medical Center. Before the merger, she held a series of positions at LIJ, including vice president for patient care services, associate director, administrator for patient care services–finance and systems, and nursing care coordinator of the intensive care and open heart units. 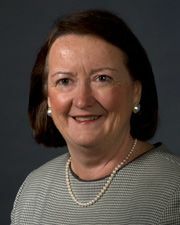 In 2012, Ms. White was inducted as a fellow of the American Academy of Nursing. She was the recipient of the American Organization of Nurse Executives (AONE) Mentorship Award in 2011. In 2008, Ms. White was the Humanitarian Partner of the Year recipient from Queensborough Community College. She was also a faculty member at the Institute of Healthcare Improvement from 2002-2005, focusing on workforce development initiatives. In 2004, Ms. White received the Distinguished Alumni Award from Molloy College and in 2000 she was recognized by AONE, receiving the prestigious Department Wide Innovations Award. Ms. White holds two undergraduate degrees from Molloy College and an MBA from Fordham University.